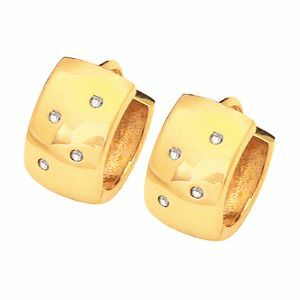 Gold Huggie Earrings with Diamonds. 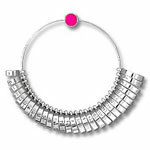 Classic and elegant hinged 'huggie' earrings set with a sprinkling of diamonds. These are so comfortable to wear and look fabulous on. Gemstone: 8 x Diamond J colour P2 clarity 0.01 carat. Material: 4.2 x Grams solid 9ct yellow gold.